Who has the most freedom to travel? 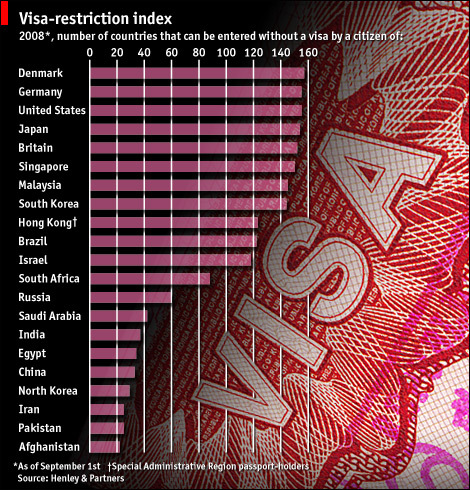 Note that this index is a function of both foreign countries welcoming visitors and source countries allowing their citizens to depart freely. This entry was posted in Immigration on 5 March 2009 by jdingel.